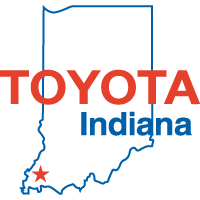 Toyota Indiana began production in Princeton, Ind., in 1998. Today, it employs about 4,700 team members who build the Sequoia full-size sport utility vehicle, Sienna minivan and Highlander and Highlander Hybrid midsize sport utility vehicles. Toyota's total investment at the Princeton, Ind., plant is $3.9 billion.